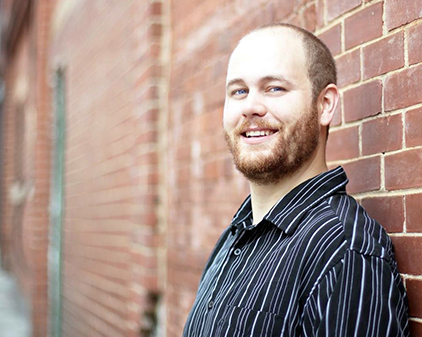 Tyler Stampe: Bio & Choral Music | Santa Barbara Music Publishing, Inc.
Tyler Stampe is an international award winning composer from the state of Iowa, USA. Stampe has written for many mediums including film, opera, choir, orchestra, chamber and solo instruments, and electronics. Stampe’s choral work, Asperges Me, Domine, was recently chosen as the first prize of the Busan Choral Festival and Competition’s composition segment. Stampe is currently a doctoral candidate at the University of Georgia, pursuing a degree in music composition with a minor in music theory. He holds degrees from Stephen F. Austin State University (M.M.) and Simpson College (B.M.E.). Stampe’s composition professors include Jesse Jones, Leonard V. Ball, Jr., Maria Grenfell, Stephen Lias, and Michael Patterson. As a pastime, Stampe enjoys reading and learning about space. Several of his works have been influenced by space, planets, stars, and other objects in the universe. He was a recipient of the HHSOM Outstanding Graduate Teaching Award in 2015; an alumnus of the international award-winning University of Georgia Hodgson Singers, and is a member of the Delta Iota Chapter of Pi Kappa Lambda, the honorary music society. Tyler Stampe has 1 titles published with Santa Barbara.